How can leaders make sure they're not unwittingly inviting a toxic team member into the fold? 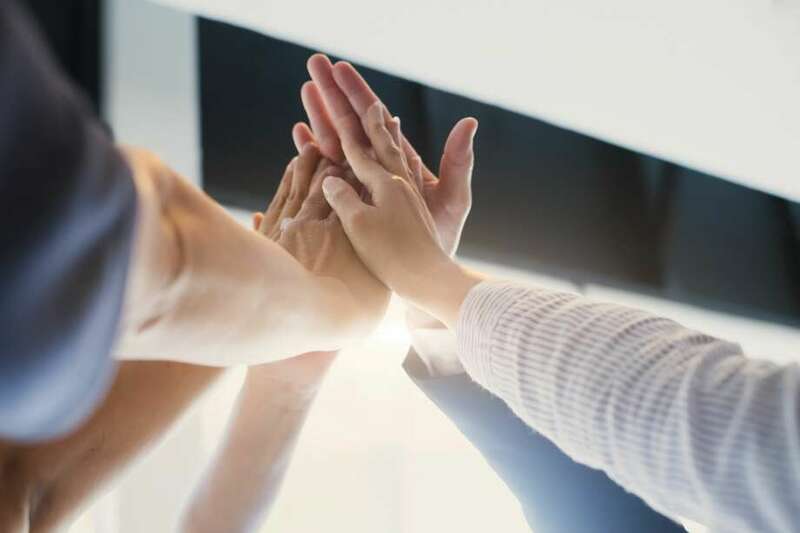 Team chemistry is important to a company’s success, and high-performance teams are catalyzed when talented employees focus on a common goal. Team members who can cooperate and collaborate are essential. This shouldn't your team. Instead, a company that wants to foster teamwork and, therefore, success, should make sure it's building its teams with people who are focused on the success of the entire team -- not just themselves. Of course that can sometimes be easier said than done. How self-centeredness impacts the whole. Don Yaeger, an author and associate editor at Sports Illustrated, drew a parallel between showboating athletes and back-patting employees: He discussed how a Florida State University linebacker intent on celebrating his seemingly guaranteed touchdown stopped short of the end zone to begin his performance. The problem was that he hadn’t actually scored yet, so not only did he give his team false hope, but he also cost them 15 yards in a penalty called on his little performance. His team then had to make up the yards to actually score, causing even more stress and insecurity about the outcome. The player’s reaction? To laugh. Harvard Business School professor Michael Norton found that this kind of attitude can affect an entire team. Rather than being limited just to the selfish teammate, a bad attitude can spread. People tend to react according to how they feel they’ve been treated, HBS reported. As the study detailed, people given less money did the same thing to the next person; and the cycle continued. The same held true with work assignments, the researchers found. They reasoned that, in line with John Gottman and Robert Levenson’s “magic ratio” (the requirement for five positive interactions to overcome one negative interaction), negative experiences linger longer (and have an extended impact). Former Navy SEAL and Ridgeline Partners CEO Curt Cronin has witnessed this phenomenon firsthand. I recently met with Cronin at a sales conference, where I became intrigued with his life and stories. His consulting firm has worked with many clients whose teams have grappled with self-prioritizing behavior. This behavior has ranged from people who have reworked entire projects to make themselves look better to co-workers who have pushed others down to get a leg up. Take proactive measures to build a positive team. Employees who look out solely for No. 1 can be toxic, and their impact can show up in more ways than one. Here’s how leaders can make sure they’re not unwittingly inviting a toxic team member into the fold. Pay close attention to how candidates treat staff when they’re interviewing. Although interviewers may overlook a person’s initial greeting or behavior toward a receptionist, such a small gesture can indicate the candidate's manners, signalling how "other-oriented" the candidate is. If a candidate seems disinterested in how his or her behavior may impact others -- neglecting to return a “hello,” for example, or showing up to an interview on time -- you can be sure you’ll see more of the same if you hire this person. While everyone wants to sound impressive when interviewing, only those who are competitive to the point of not recognizing others’ contributions will fail to give credit to their teammates. Ask questions about future behavior. While people you interview won't be able to predict their future behavior exactly, ask questions to determine how they anticipate they’d behave; this can tell you a lot. Propose a scenario to a candidate in which he or she and a co-worker, equal in terms of work experience and seniority, interview for a promotion which is eventually awarded to the co-worker. What would the candidate do next? Seeing an immediate reaction -- a flash of anger on the face or a tightening of fists -- can tell you one thing, while words can tell you another. Would this candidate congratulate that co-worker? Ask the hiring manager for feedback? Make a point of developnig a stronger relationship with the more successful co-worker, to benefit from future learning opportunities? Assess a candidate's relationship to failure. While determining how comfortable candidates are with failure may sound counterintuitive, this move can tell you how team-focused they are. Perfectionists and others who fear failure may not make the best teammates. Since they are overly focused on appearing to have everything “together,” they’re likely to deny others’ offers for help, and reject the need to delegate. They may also offer harsh criticism of others’ contributions. Asking candidates about past failures and assessing their ways of working through them and learning from them can signal how well these people will function in a team environment. Overall, competition is necessary in the marketplace -- but it’s not always the best thing for a team. When leaders ensure that they're hiring team-oriented talent rather than people primarily looking out for themselves, they're more likely to be building high-performance teams. And such teams are not only more enjoyable to be a part of; they are more successful, to boot.